Facebook profile videos appear at the top of a user's profile, just like a profile picture. While profile videos are supported on all devices, they can currently only be uploaded on the mobile app. 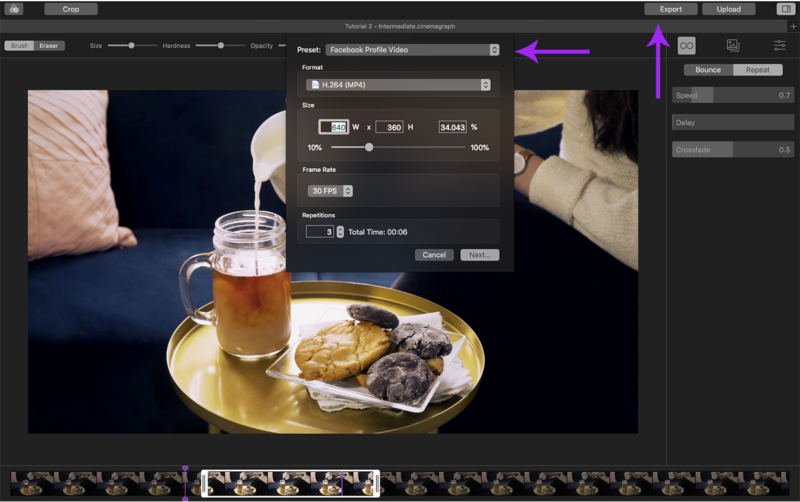 To ensure your cinemagraph profile video is being uploaded to Facebook in the highest possible quality, select the Facebook Profile Video preset in your export settings. 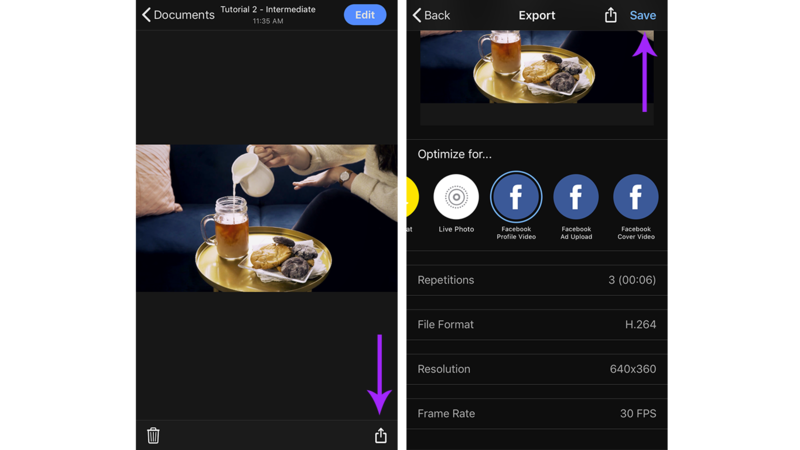 There are two ways you can upload cinemagraphs created in Cinemagraph Pro for iOS to use as your Facebook Profile Video; you can either save the cinemagraph to your device and upload to Facebook or share to Facebook in-app. If you don’t see Facebook Profile Video in the share window, scroll to the end of the list and select More. Enable Facebook, tap Done, and select Facebook Profile Video to open the app. Visit the Facebook Help Center for further instructions on uploading profile videos.